The RFID Sensor is an automatic identification technology, which uses radio frequency electromagnetic fields to identify objects carrying tags. RFID is a technology similar to bar codes. However, the RFID tag is not required to be scanned directly nor does it require line-of-sight to a reader. The RFID tags must be within the range of an RFID reader, which ranges from 3 to 300 feet, to be read. These tags have a wide area of application in retail, security authentication, aerospace, and transportation. The major companies profiled in the report are Murata Manufacturing Co., Ltd., Vitaran Electronics, SMARTRAC, ELA Innovation, Balluff Inc., AB&R (American Barcode and RFID), VisuaScan Inc., Imprint Enterprises, Coridian Technologies, Inc., AbeTech Corporate, and Invengo Technology Pte. Ltd. The RFID sensor market is segmented based on product, frequency band, type, application, industry vertical, and region. By product, the market is categorized into tags, reader, and software. On the basis of frequency band, it is classified into low frequency, high frequency, and ultrahigh frequency. Depending on type, it is bifurcated into active and passive. The applications covered in this study include access control, livestock tracking, ticketing, cashless payment, and inventory management .The industry verticals segment is divided into transportation & logistics, healthcare, hospitality, food & beverages, retail, manufacturing, government. Region wise, the market is analyzed across North America, Europe, Asia-Pacific, and LAMEA. Rise in need for tracking inventory & equipment in businesses; robust security in wide applications such as in inventory management, tracking the production process, and others; and long distance object reading feature of RFID tags are the key factors that impact the growth of the market. In addition, development in the automotive sector, surge in demand for RFID sensors, high RFID cost, tags collision affect the growth of the global RFID sensor market. These factors are anticipated to either drive or hamper the market growth. Optically based system such as barcode fails to provide unique solutions to logistical tracking of inventory or equipment along with read/write capabilities. RFID helps to manage updating of stocks, and to make operation convenient for supply chain management in retail business during transportation & logistics of products. The information imprinted on a barcode is fixed and cannot be changed. In contrast, RFID tags have electronic memory similar to the computer to store information about the item. This information is used for various applications such as retail, transport, business security, and also in large-scale commercials. Moreover, RFID tags installed in the jewelry stores help to determine unauthorized attempt made to move the jewelry items away from the premises by activating alarm. This mechanism provides robust security as compared to barcode scanners. Tag collision occurs when a RFID reader is unable to reads signals from multiple tags at the same time. For instance, interference has been observed in RFID systems, when devices such as forklifts and walkie-talkies are around. In addition, the presence of mobile phone towers interferes with these radio waves. The problem of tag collision is reported by the retail sector giant Walmart, when they installed RFID sensor tags in their systems. 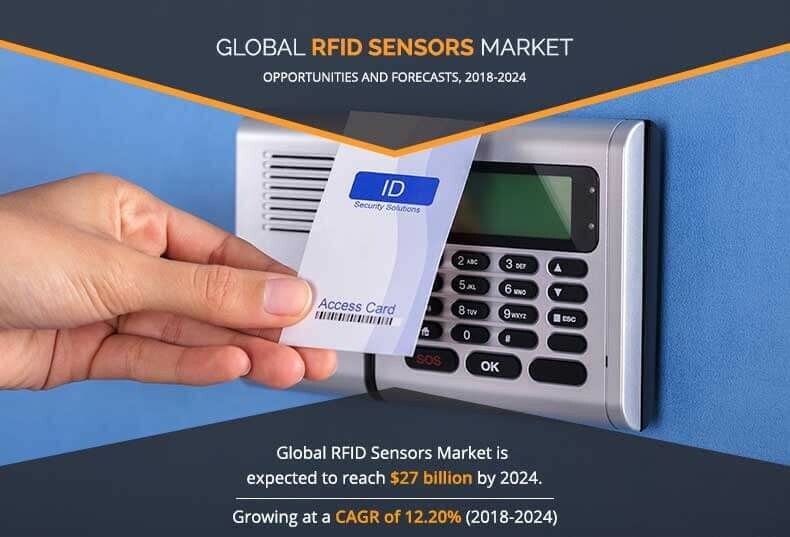 Therefore, the growth of the global market is restrained, owing to the incapability of RFID sensors to operate properly in multiple tag reading conditions. This study comprises analytical depiction of the global RFID sensor market with current trends and future estimations to depict the imminent investment pockets. The current market is quantitatively analyzed from 2017 to 2024 to benchmark the financial competency. 10.5. Applied Wireless Identifications Group, Inc.
A radio frequency identification reader (RFID) is a device used to gather information from an RFID tag, which is used to track individual objects. Radio waves are used to transfer data from the tag to a reader. Presently, increase in demand for the RFID sensors has been witnessed from the developed countries such as the U.S., Canada, and others. 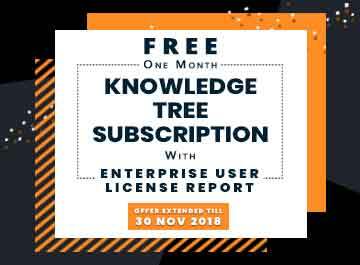 Companies in this industry adopt various techniques to provide customers with advanced and innovative product offerings. These tags have a wide area of application in retail, security authentication, aerospace, and transportation industries. 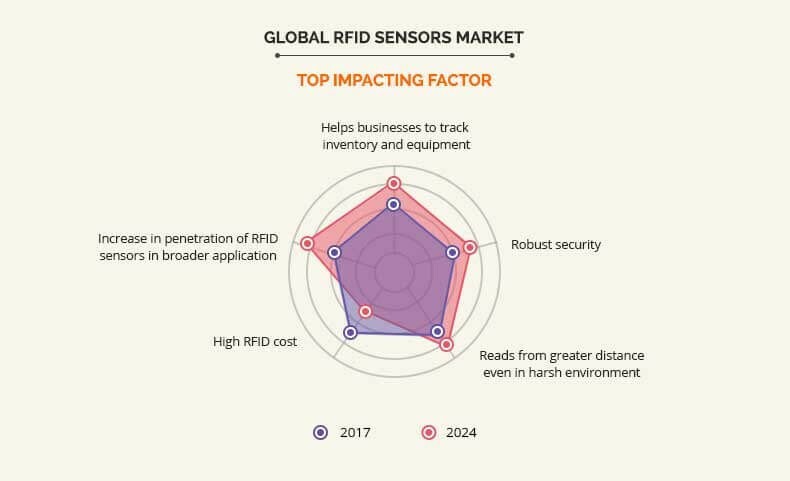 Rise in need for tracking inventory & equipment in businesses, robust security offered by RFID sensors, and feature of RFID tags to read the signal from long distance even in harsh environment drive the growth of the RFID sensors market. However, high RFID cost and tag collisions impede the growth of the market. In future, rise in investment in the automotive sector and surge in penetration of RFID sensors in different applications are expected to create lucrative opportunities for the key players operating in the RFID sensor market. Among the analyzed geographical regions, North America is expected to account for the highest revenue in the global market throughout the forecast period, followed by Asia-Pacific, Europe, and LAMEA. However, Europe is expected to grow at a higher growth rate, predicting a lucrative market growth. Murata Manufacturing Co., Ltd, Vitaran Electronics, SMARTRAC, ELA Innovation , Balluff Inc., AB&R® (American Barcode and RFID), VisuaScan Inc., Imprint Enterprises, Coridian Technologies, Inc., AbeTech Corporate, and Invengo Technology Pte. Ltd.